You can easily find a romantic love song of any kind from anywhere on the Internet. How about adding a little fun, a little you to the same old song to make it your very own? Follow this tutorial and we'll show you how to renew a love song by changing the vocal to chipmunk's voice. 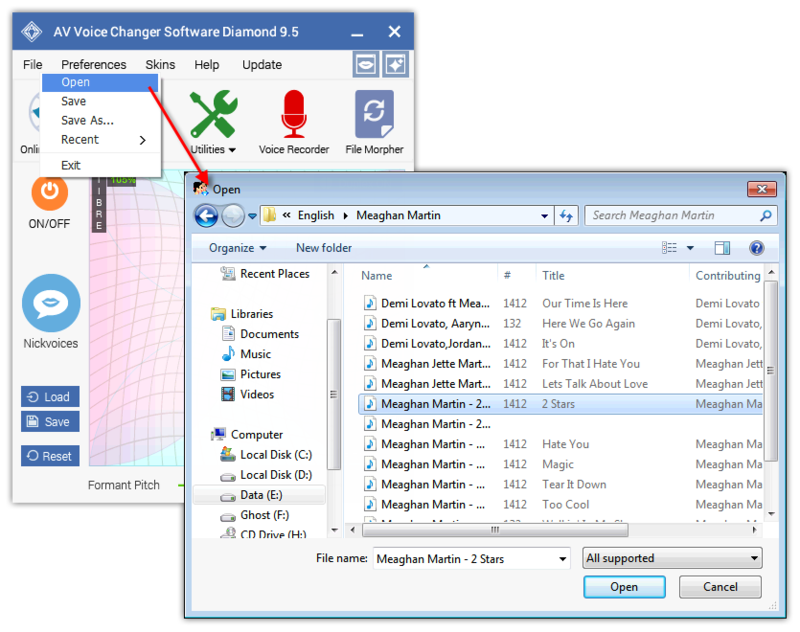 Voice Changer Software Diamond 9.5 can do it easily! - Locate to your song » Open again. - Play the song and while playing, adjust morphing effects to achieve Chipmunk's voice. Note: Click here to learn how get Chipmunk’s voice. 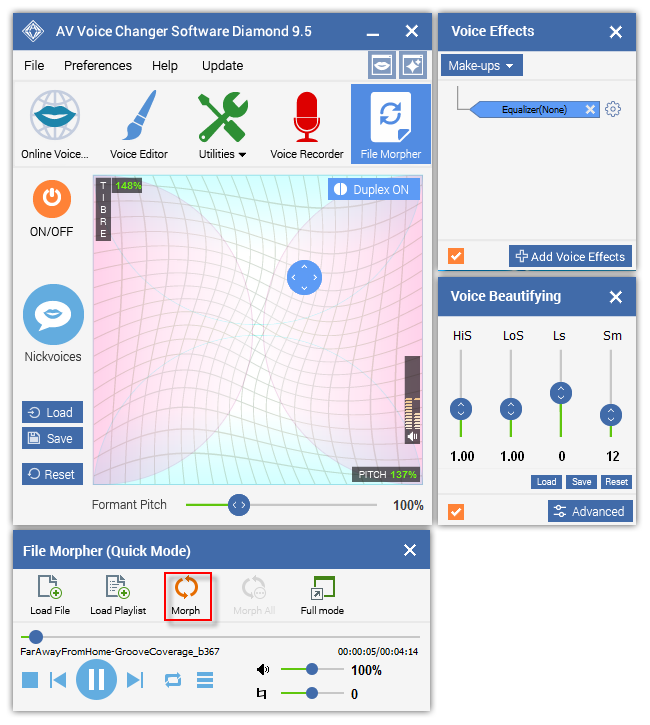 - Click here to learn how to morph audio file(s) with Full Mode . 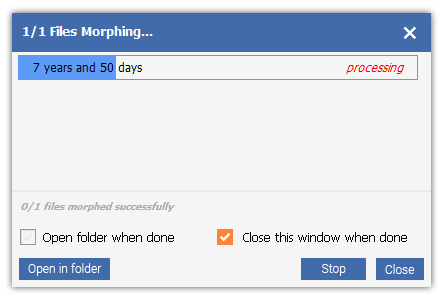 - Choose Morpher icon (5) on the File Morpher (Quick Mode) and wait a few seconds for the process to complete. Now, done! It's time to review your work.